Tibet is the world’s highest plateau with a size of nearly two-third of the European continent. It is called the third pole because it has the largest reservoir of glacial ice after the two poles. The rising temperatures on the roof of the world make Tibet both a driver and amplifier of global warming. In recent years, China's vast exploitation of Tibet's natural resources has gathered pace significantly. Tibetans have no power to protect their own land and must watch the economic benefits of its resources flow out of their country. The wildlife, forests, grazing lands, rivers and mineral resources are now at a point where they may never recover. The Chinese policies have turned the Tibetan plateau into a hub of its mining and dam building activities. This may not only change the water map of Asia, but also contribute to an environmental crisis as hundreds of millions in the downstream nations depend on water flowing from Tibet. 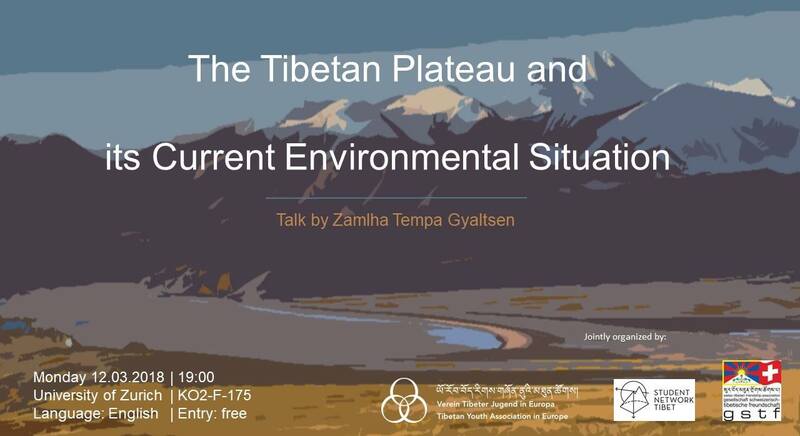 Zamlha Tempa Gyaltsen is a research fellow at Tibet Policy Institute, a think tank based in Dharamsala, India. He heads the Environment and Development Desk and focuses in his research on the environmental situation on the Tibetan Plateau. He represented Tibet at numerous United Nations climate change conferences to highlight the global significance of the Tibetan Plateau and its impact.